This article was last updated Aug 09, 2018, but some terms and conditions may have changed or are no longer available. For the most accurate and up to date information please consult the terms and conditions found on the issuer website. 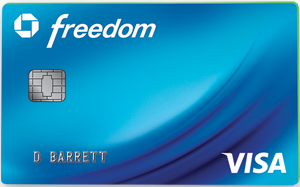 The Chase Freedom® is a great card for people who already have a flat-rate cash-back card and are looking to maximize their cash back. If you have a balance on an existing credit card or are looking to make a large purchase and avoid interest for a while, this card can provide you with the time you need to rid yourself of debt. The 0% intro APR periods — 0% Intro APR on Purchases for 15 months and 0% Intro APR on Balance Transfers for 15 months, 17.24% - 25.99% Variable APR, thereafter — provide you with a good amount of time to get your finances in check. This card isn’t for people who want a simple cash-back card and don’t want to deal with quarterly rotating-bonus categories. 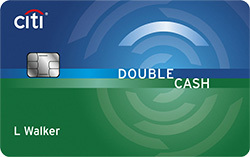 Flat-rate cash-back cards like the Citi® Double Cash Card – 18 month BT offer offer a hassle-free cash-back program without changing categories, caps or activation requirements. Also, if you’re a big spender in the bonus categories, you may be better with a different card that offers high cash back in nonrotating categories like gas and grocery because you may hit the quarterly maximum with the Chase Freedom®. If you’re someone who is looking for a lengthy 0% intro APR period, this card also isn’t for you. 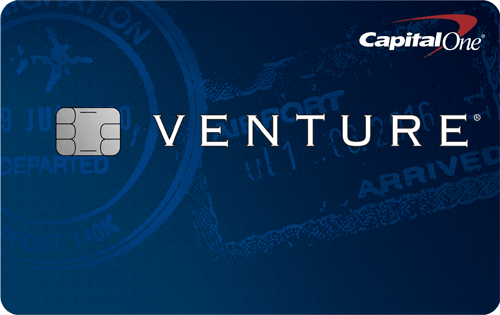 Other balance transfer cards offer longer 0% intro periods, like 18 or 21 months. (468) Over the Past 60 Days! The Chase Freedom® has a good cash-back program for people who want to maximize their cash back in the bonus categories: Earn 5% cash back on up to $1,500 in combined purchases in bonus categories each quarter you activate. Enjoy new 5% categories every 3 months. Unlimited 1% cash back on all other purchases. Since the categories rotate each quarter, there is bound to be at least one bonus category that appeals to you. The sign-on bonus is a great way for you to earn extra cash back in the first few months of account opening, as long as you spend the required amount. Earn a $150 Bonus after spending $500 on purchases in your first 3 months from account opening. This is a great return for the low amount of spending required. There is a high balance transfer fee associated with this card: Either $5 or 3% of the amount of each transfer, whichever is greater. Most balance transfer cards have a transfer fee of 3 or 5 percent, but you can find cards that have a more favorable transfer fee like the Chase Slate®. Transferring your balance to a card with a $0 intro transfer fee is a great way to save extra money — although you may miss out on rewards. Regarding the cash-back program, since there are caps on how much cash back you can earn in the bonus categories, your earning potential is limited, especially if you’re a big spender in the bonus categories. Monthly FICO® Score for free: You can check your monthly score for free with Credit JourneySM. It’s important to monitor your score so you’re aware of any changes that may cause alarm. Fraud protection: Chase will help safeguard your account using sophisticated Real-Time Fraud Monitoring for possible signs of fraudulent activity. This adds an extra layer of protection against possible fraud. Tip: This card is great to use when paired with a high flat-rate cash-back card like the Citi® Double Cash Card – 18 month BT offer to maximize cash-back rewards. With both cards, you can benefit by using the Chase Freedom® for purchases in the high cash-back categories and then use the Citi® Double Cash Card – 18 month BT offer for all nonbonus categories to earn a flat-rate on those purchases. The total amount of your balance transfer request including fees and interest charges cannot exceed your available credit or $15,000, whichever is lower. Your balance transfer must be completed within 60 days from account opening in order to take advantage of the $0 intro balance transfer fee and 0% intro APR period. To complete your balance transfer online, after logging in, click on “Accounts,” then on the Chase balance transfer card listed. Click on the “Things you can do” drop-down menu in the top right corner, choose “Transfer a balance” and select the Chase balance transfer offer you have been approved for. From there, enter your transfer information and review and submit your transfer. Your transfer may take one to three weeks depending on how quickly the payee processes the transferred amount. The Chase Freedom® offers a cash-back program that allows you to maximize your earning in bonus categories. Earn 5% cash back on up to $1,500 in combined purchases in bonus categories each quarter you activate. Enjoy new 5% categories every 3 months. Unlimited 1% cash back on all other purchases. Past bonus categories have included restaurants, gas stations and department stores. The wide range of bonus categories provides something for everyone to maximize their rewards. You can redeem cash back for a statement credit, direct deposit, travel and gift cards, and shop with points at Amazon. There is also a great sign-up bonus for you to earn extra cash back: Earn a $150 Bonus after spending $500 on purchases in your first 3 months from account opening. 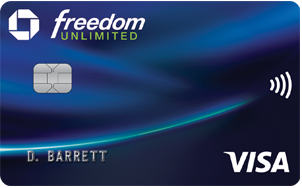 The Chase Freedom® and the Chase Freedom Unlimited® are similar cards offered by Chase, however they differ in cashback programs. The card that’s best for you depends on what type of cashback card you want. If you want a rotating cashback card, check out the Chase Freedom® — Earn 5% cash back on up to $1,500 in combined purchases in bonus categories each quarter you activate. Enjoy new 5% categories every 3 months. Unlimited 1% cash back on all other purchases. That means each quarter, you can earn up to $75 cash back in the bonus categories, and any purchases in the bonus categories exceeding $1,500 in a quarter will earn unlimited 1% cash back. The Chase Freedom Unlimited® lets you earn 1.5% cash back offer This card is beneficial if you don’t want to deal with activating bonus cashback categories. The Chase Freedom® is a good choice for people who want to maximize cash back and enjoy a decent 0% intro APR period. If you don’t mind rotating bonus categories and can pay off your debt during the intro period, this card can save you money as you earn rewards. View our top picks for sign-up bonus credit cards.